I first learned about Eric Cressey back in 2004 when he wrote a cool article on rotator cuff training for T-nation. Since that time Eric has quickly climbed to the top in the fitness industry. His knowledge of strength training and performance development is awesome (Cressey has a monstrous deadlift). But his techniques for corrective exercise – especially the shoulder – is what really sets him apart. In fact, when my brother recently injured his rotator cuff, Eric Cressey is the first person that came to mind to help him. Cressey Performance in Massachusetts has become one of the most sought-after training facilities in the country for everyone from professional athletes to weekend warriors. When Cressey talks, I listen, because over the last 7 years he’s spent more time in the trenches than just about anyone I know. And that’s why I’m happy to have him as a guest this week. CW: First off, thanks for taking time out of your schedule to chat. Here’s my first question: Since you work with a lot of high-performance athletes, what are three principles that apply equally to athletes as well as non-athletes? EC: I think people would be surprised to realize just how similar the Average Joe or Jane is to a professional athlete – both socially and physically. The lay population often sits in front of a computer for 8-10 hours a day, but many pro athletes have 4-8 hour flights or 10+ hour bus rides where they’re sitting – and because they’re taller, sitting is even more uncomfortable and problematic. Like everyone else, they spend time surfing the internet, Skyping, playing video games, and goofing around on Facebook/Twitter. The advances in technology have hurt everyone from a physical fitness standpoint – but brought the “Pros and the Joes” closer together, believe it or not. They’re also very similar in that they want the most bang for their buck. Most pro athletes are no different than anyone else in that they want to get in their training, and then go to visit their families, relax, play golf, or whatever else. They really don’t have interest in putting in six hours per day in training outside of the times when they have to do so (especially during the in-season). 1. Realize that consistency is everything. I always tell our clients from all walks of life that the best strength and conditioning programs are ones that are sustainable. It’s not about working hard for three months and making great progress – only to fall off the bandwagon for a month. This is absolutely huge for professional athletes who need to maximize progress in the off-season; they just can’t afford to have unplanned breaks in training if they want to improve from year to year. If a program isn’t conducive to your goals and lifestyle, then it isn’t a good program. That’s why, when I created Show and Go I went out of my way to create 2x/week, 3x/week, and 4x/week strength training options – plus five supplemental conditioning options and a host of exercise modifications. I wanted it to be a very versatile resource. 2. You must balance competing demands, and prioritize the ones that are the most pressing at a given time. Using our professional baseball pitchers as an example, their training consists of strength training, mobility work, medicine ball throws, movement training, and the throwing program (which is near daily in nature). In the Cressey Performance system, when the throwing program ramps up, the medicine ball work must come down substantially, and the strength training tapers off just a bit. You simply can’t keep adding without subtracting something else and making a tradeoff, as athletes only have a certain amount of recovery capacity, and it’s hard to fine-tune an exact movement like throwing a baseball if you’re fatigued from everything else. 3. The success comes from the overall program, not just the individual parts. In other words, synergy is everything. The aforementioned pitchers can’t just go out and start a throwing program after doing nothing for three months. Rather, they need to work to enhance their mobility and get stronger, more reactive, and more powerful first. If they skip these important steps, they increase their likelihood of injury, make it harder to re-acquire a skilled movement, and reduce the likelihood of improvement. In the general population, a good strength and conditioning program consists of tremendous interdependencies. How well you deadlift depends on the training you’ve done in the previous month, week, and day – and how thorough and targeted your mobility warm-up (or lack thereof, in many unfortunate cases) was prior to that day’s training session. Those trainees who have the best results are the ones that line everything up – from nutrition, to strength training, to mobility work, to movement training, to metabolic conditioning, to recovery protocols. CW: I agree. It’s common for people to think they’re advanced when they’re really not. Can you mention a few things a pro athlete typically does that a weekend warrior shouldn’t do? EC: I would strongly discourage non-professional athletes from holding shirtless press conferences in their driveways while exercising during contract holdouts. To be honest, in the context of resistance training, a lot of professional athletes aren’t really as advanced as you might think, especially after a long season that’s taken its toll on them. Many of them have a ton of similarities with our general fitness clients – but just have different exercise contraindications and energy systems needs. I think the better comparison would be between novice lifters (less than one year of resistance training) and those with years and years under their belt. They have to do things quite a bit differently. As a first example, the novice lifter can handle a lot more volume because he (or she, of course) is relatively neurally inefficient. If this lifter did the volume of an advanced athlete, he might actually undertrain on volume (and possibly overdo it on intensity to the point that it’d interfere with picking up appropriate technique). Second, a really advanced lifter will often need to deload on intensity – meaning that when it’s time for a “backoff week” – he’ll often keep the sets and reps up, but take a lot of weight on the bar. It’s just about getting reps in. A novice lifter, on the other hand, is better off keeping the intensity up and dropping the number of reps.
Third, a novice lifter can often be more aggressive in terms of caloric intake because there is such a large window of adaptation ahead in terms of muscle weight gain. I gained 50 pounds in my first year of lifting, but nowadays – even though I’m five times as strong as I was then – if I can go up 3-4 quality pounds a year, I’m thrilled. Surely, lifters that are on opposite ends of the experience continuum can’t have similar caloric needs – even if the more experienced ones are heavier. Skinny novice guys can sometimes get away with eating like absolute crap as long as there are enough total calories – and still end up getting bigger. I certainly don’t advise it, but it’s one more way to show that novice and experienced lifters are horses of different colors, and that you have to be honest with yourself on where you fall on this continuum so that you train and eat optimally. Tomorrow, be sure to check out part II of my insightful interview with Eric Cressey when he’ll discuss more training strategies as well as his outstanding new program, Show and Go. 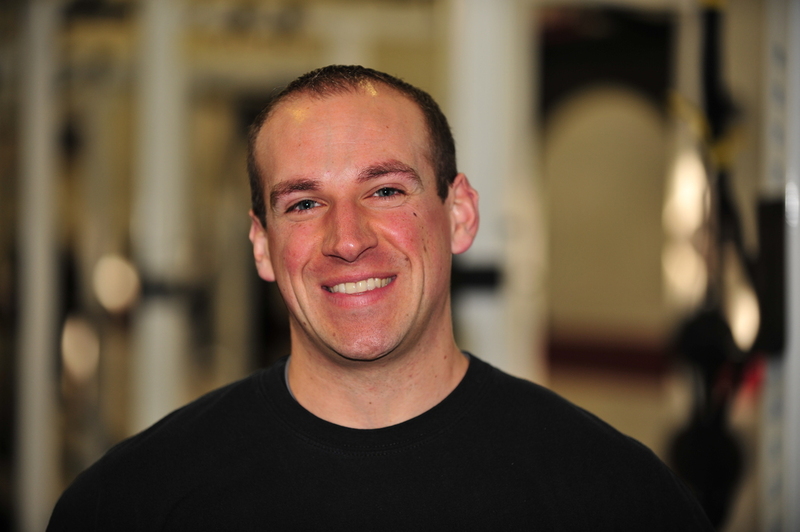 This entry was posted in How To Build Lean Muscle, Mobility Exercises by Dr. Chad Waterbury. Bookmark the permalink. Super, super interview. Eric is always a wealth of information.